An electric power grid is a network of power generators, transmission lines, transformers, and distribution/relay systems to provide its consumers (residential, industrial, and commercial) with the power they need. Currently, electrical energy is generated in centralized power plants and transported over a long‐distance transmission network to distribution networks before reaching the end consumers via communication and power flows in only one direction, i.e., from power plants to the customers, which is collectively called an electric grid. The traditional electric power grid connected large central generating stations through a highvoltage (HV) transmission system to a distribution system that directly fed customer demand. Generating stations consisted primarily of steam stations that used fossil fuels and hydro turbines that turned high inertia turbines to produce electricity. 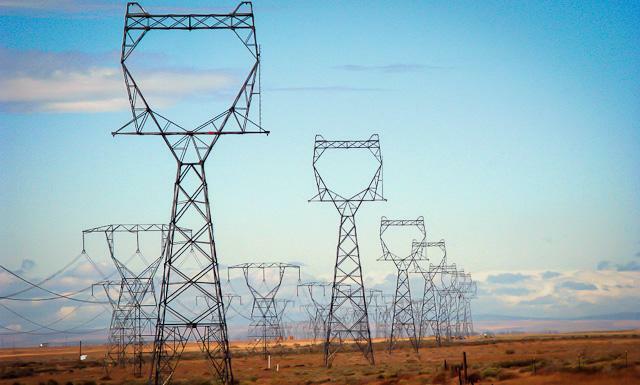 The transmission system grew from local and regional grids into a large interconnected network that was managed by coordinated operating and planning procedures. "According to NASA, Earth’s surface temperature has risen 0.9 degrees Celsius since the dawn of the Industrial Revolution. Researchers agree that the rise in temperatures has one primary culprit: increased greenhouse gas emissions. Greenhouse gases like carbon dioxide, nitrous oxide, and methane all trap heat in our atmosphere, making them directly responsible for climate change. The occurrence of these gases in our atmosphere has increased exponentially since the late 1800s due to growth in fossil fuels use across the energy, manufacturing, and transportation industries. Electricity is vital to modern life. It powers our lights and appliances at home. It powers many industry processes. It is used to power trains and to charge electric vehicles. All power sources have advantages and disadvantages. There are two different ways of reducing the fossil fuel consumption - either using renewable energy sources or using nuclear power. However, renewable energy sources like solar and wind power are environmental friendly but inefficient in electrical power generation. Nuclear energy provides large amounts of reliable electricity without providing large amounts of carbon emission. Nuclear power is very efficient (a reliable 'base load' supply of electricity) but contains the fear of radiation pollution. All these factors have led to different R&D efforts to use distributed generation systems to form micro-grids and a large level penetration of renewable energy sources. In many countries renewables are starting to overtake fossil fuels as the primary power source. But one of the biggest problems with renewables has yet to be solved: what happens if it's cloudy? More specifically, the problem is that renewable energy sources can never provide a constant source of power. Nuclear power plants use the heat produced by nuclear fission to generate steam that drives turbines, like in fossil fuel plants. However, no greenhouse gases are produced in this fission process, and only small amounts are produced across the whole fuel cycle. The world’s electric power utilities are facing their most serious crisis since their inception a century ago. Aging infrastructure, increasing peak demand for electricity and raising concerns for the industry’s environmental impacts have made it crucially important to improve how the power grid manages electricity. The open, standards-based smart grid, the power grid of the future (Energy Internet), is one of humanity's boldest visions. It turns the current electrical network that has thousands of transmission substations, large substations for distribution, and public and private owners into a shared, interoperable network that communicates intelligently and works efficiently, similar in concept to the way the Internet works today. Smart grids differ from our traditional grid because they allow two-way power transmission and communication where the traditional grid is limited to one direction. This two-way transmission and communication allows for additional grid functions, controls, reliability, and efficiency. The energy Internet can be now built due to the advances in micro-grid technologies and machine-type communications that allow for applications with ultra-reliable, low-latency and massive connectivity. The smart grid will consist of millions of pieces and parts - controls, computers, power lines, and new technologies and equipment. It will take some time for all the technologies to be perfected, equipment installed, and systems tested before it comes fully on line. And it won’t happen all at once - the smart grid is evolving, piece by piece, over the next decade or so. Once mature, the smart grid will likely bring the same kind of transformation that the Internet has already brought to the way we live, work, play, and learn. The energy cloud is similar to the thought of cloud computing. Like IT networks, the networks are able to increase efficiencies in solar, wind and energy systems across consumers. The four key trends pushing this movement are: an increase in regulations to reduce carbon emissions, transition from a central grid to decentralized grids, more customer choices-from type to usage to spend, and greater data availability. The core of the energy cloud is the implementation of Advanced Metering Infrastructure (AMI), or smart meters. Due to lack of situational awareness, automated analysis, poor visibility, and mechanical switches, today's electric power grid has been aging and ill‐suited to the demand for electricity, which has gradually increased, in the twenty‐first century. Besides, the global climate change and the greenhouse gas emissions on the Earth caused by the electricity industries, the growing population, one‐way communication, equipment failures, energy storage problems, the capacity limitations of electricity generation, decrease in fossil fuels, and resilience problems put more stress on the existing power grid. Consequently, the smart grid has emerged to address these challenges. To realize the smart grid, an advanced metering infrastructure (AMI) based on smart meters is the most important key. AMI is an integrated system of smart meters, communications networks, and data management systems that enables two-way communication between utilities and customers. The system provides a number of important functions that were not previously possible or had to be performed manually, such as the ability to automatically and remotely measure electricity use, connect and disconnect service, detect tampering, identify and isolate outages, and monitor voltage. Combined with customer technologies, such as in-home displays and programmable communicating thermostats, AMI also enables utilities to offer new time-based rate programs and incentives that encourage customers to reduce peak demand and manage energy consumption and costs. 4. Digitalization: a New Era in Energy? The first industrial revolution saw water-and steam-powered machines transform the way things were made. The second used electric energy to power mass production. And the third brought about electronics that automated manufacturing. Now, we’re entering a fourth revolution that some experts predict will be more transformative than any before it: the digital revolution of industry. This is where the physical and digital worlds join forces. Over the coming decades, digital technologies are set to make energy systems around the world more connected, intelligent, efficient, reliable and sustainable. Stunning advances in data, analytics and connectivity are enabling a range of new digital applications such as smart appliances, shared mobility, and 3D printing. Digitalization is already improving the safety, productivity, accessibility and sustainability of energy systems. But digitalization is also raising new security and privacy risks. It is also changing markets, businesses and employment. New business models are emerging, while some century-old models may be on their way out. Policy makers, business executives and other stakeholders increasingly face new and complex decisions, often with incomplete or imperfect information. Adding to this challenge is the extremely dynamic nature of energy systems, which are often built on large, long-lived physical infrastructure and assets. "The smart grid can be defined as an electric system that uses information, two-way, cyber-secure communication technologies, and computational intelligence in an integrated fashion across the entire spectrum of the energy system from the generation to the end points of consumption. The availability of new technologies such as distributed sensors, two-way secure communications, advanced software for data management, and intelligent and autonomous controllers have opened up new opportunities for changing the energy system. The main objective is to develop a measurement science toward communication networking with the specific aim of strengthening modeling capabilities and determining the potential impact on critical infrastructure." -- (NIST) These systems are beginning to be used on electricity networks, from the power plants and wind farms all the way to the consumers of electricity in homes and businesses. The major technologies used in the smart grid infrastructure are advanced metering infrastructure, cyber security, distribution automation, software and hardware, transmission upgrades, and communication technologies. Of these, transmission upgrades technology is the leading segment. The development of smart grid for upgrading transmission system is mainly driven by automation in substation infrastructure, advancements in distribution transformers, and improvements in electric energy conversion chain. Smart grid technologies will enable energy conservation, increased operational efficiencies and a more resilient mix of energy sources at a reasonable cost while maintaining the reliability of the electricity supply at the level to which we have grown accustomed. The introduction of smart grid has significantly transformed transmission and distribution system in electrical grid. Smart grid has been constantly instrumental in increasing the operational efficiencies of utility providers, reduce transmission and distribution losses, and improve interoperability of various components involved in the managing of an electric grid. The advent of distributed generation of energy and the increasing deployment on renewable power generation have boosted the smart grid market. As a still-emerging technology to drive the next generation of power grids, the smart grid concept is finding increasing levels of support from governments worldwide as a way of addressing energy independence, climate change and resilience to emergencies. The smart grid will use digital sensors, advanced communication networks and sophisticated analytics to help utilities understand demand in near real time, more effectively manage supply and demand, and put greater control of energy usage into the hands of consumers. The reliable management of power supply systems is increasingly challenging. This development goes hand in hand with the rapid growth in the demand for communications. This is not just a question of higher bandwidths but also of communications requirements for new energy applications, including meter data management, distribution automation, and demand response, to name just a few examples. At the same time, energy network components like ring main units, distributed energy resources, virtual power plants, microgrids, public charging, energy storage, and private households need to be integrated into the power utilities’ communications infrastructure for smart grids. The smart grid will use new long-distance, extra-high (EHV, 230~800 KV) or ultra-high (UHV, above 800 KV) voltage transmission lines (a national “electric superhighway”) to deliver the bulk of clean power generated by the remote gigantic wind farms on land and offshore, and the enormous solar fields in the deserts and the areas that have an abundance of sun in the years to come. So why build a UHV transmission system? The primary benefit of EHV or UHV transmission is the ability to transport electricity over long distances with minimal power loss. UHV allows generating plants to be moved closer to the fuel source and away from population centers, significantly improving local air quality. A secondary benefit is the ability to integrate widely dispersed renewable power sources (hydro, wind, and solar) into a national distribution network. Consumers and companies are installing solar panels and small wind turbines on their roofs or small power plants in their basements. The highly efficient mini power plants (co-generation) provide heat and electricity and also feed back any excess power to the smart grid, providing a profit to the user. Two-way connected standards-based smart meters will be installed in every home. They will be able to measure real-time electricity distribution both inside households and in the power grid. Smart meters use broadband wireless networking (e.g., Wi-Fi, LTE) to exchange information (measurement data, command signals, and status updates) back and forth between utilities and customers. They are paving the way for tools and services that make the system more responsive to shifts in energy demands. The backbone of the system is a communication infrastructure that ensures secure, reliable and low-latency transmission of data across the whole power grid. Of course, the concept that ties all of this together - the Internet of Things (IoT). Communications technology has continued to develop rapidly over the past few years, and Ethernet has become the established standard in the power supply sector. International communications standards like IEC 61850 will further simplify the exchange of data between different communications partners. The power utilities’ mostly heterogeneous communications networks, with their gaps in coverage and bandwidth, need to be migrated to a smart-grid communications infrastructure. That will provide IP/Ethernet connectivity between most components. The gradual migration of most conventional communications interfaces and products toward TCP/IP-based networks and the extension of network access down to the consumer level are therefore an important task for decision makers at power supply companies. To meet these challenges, a team-oriented and interdepartmental planning of migration concepts is required. Today, Synchronous Digital Hierarchy (SDH) solutions in combination with Plesiochronous Digital Hierarchy (PDH) access multiplexer are used mostly by utilities for the communication requirements in high-voltage networks. In order to follow the general trend of the telecom industry and the roadmaps of the network manufacturers, the existing traditional communication networks need to be migrated into highly available, packet-based hybrid systems with low latency. It is advisable to stepwise migrate the installed SDH/PDH communication infrastructure to a packet-based, highly available (carrier and utility grade) and standardized Multiprotocol Label Switching (MPLS) transport network, which integrates, besides Ethernet, also conventional interfaces. This means that MPLS systems offer the integration of voice, data and protection signals into one system. This allows the operation of older systems during a transition period. PowerLink IP (power line carrier for digital substations. No separate communications cable required) uses the high-voltage line between transformer substations as a communication channel for protection signals voice and data. PowerLink IP was designed for Ethernet / IP environments used in the new digital high-voltage (HV) substations. Today, PowerLink IP is used in modern digital HV substations in the following cases: providing a communication link between substations, where a fiber-optic connection does not exist, and providing a backup communication system for an installed fiber-optic link. Interest in ensuring reliable power, and controlling energy costs, has led to a rise in distributed power generation. Distributed energy systems are part of the world’s ongoing energy shift, along with digitalization and decarbonization. They allow their owners and operators to put power into the grid, from microgrids or rooftop solar systems, as well as consuming it. A variety of technologies are available to generate electricity at or near where it will be used, including solar panels, wind turbines, geothermal, combined heat and power systems, and emergency backup generators fueled by natural gas, gasoline, or diesel. Power supplies are likely to be radically decentralized (distributed generation) in the coming decades. Distributed generation systems make their power at the point of consumption. Creating the energy on-site cuts costs and inefficiencies related to transmission and distribution. The distributed energy systems enable the users to improve efficiency in several ways - by controlling their own generation, by putting power into the grid, and by shaving their demand at times of peak demand, when power gets more expensive. A microgrid is a discrete energy system consisting of distributed energy sources (including demand management, storage, and generation) and loads capable of operating in parallel with, or independently from, the main power grid. The primary purpose is to ensure local, reliable, and affordable energy security for urban and rural communities, while also providing solutions for commercial, industrial, and federal government consumers. A microgrid is a type of power grid that is much smaller than the traditional centralized electrical grid. It is localized and operates independently of a larger grid. Microgrids generate, distribute, and control the flow of energy to consumer. Microgrid software can control all of these generation sources, it can predict how much sun you’ll have tomorrow, it can predict how much you’ll be using based on previous patterns. It has evolved from something that will say, “If this happens, then the system shall react in a certain way,” to assessing the system condition that can have an infinite number of inputs. We don’t have to preprogram any of that. It can do it in real time. These systems are taking advantage of a highly connected fast digital system. Moreover, developers and owners of microgrids can sell the excess power generated to utility companies. Microgrids are localized grids that can disconnect from the traditional grid to operate autonomously. Because they are able to operate while the main grid is down, microgrids can strengthen grid resilience and help mitigate grid disturbances as well as function as a grid resource for faster system response and recovery. The development and implementation of microgrids to further improve reliability and resiliency of the grid, help communities better prepare for future weather events, and keep the nation moving toward a clean energy future. As alternative energy storage technologies like solar and battery rise in reliability and fall in cost, more utilities are harnessing them to improve operational efficiency. They use green power storage to: reduce output variability, balance loads better, increase reliability, prevent blackouts, and minimize routine maintenance costs. However, fluctuating solar and wind power require lots of energy storage, and lithium-ion batteries seem like the obvious choice - but they are still far too expensive and don’t last nearly long enough, limiting the role they can play on the grid. If we plan to rely on them for massive amounts of storage as more renewables come online - rather than turning to a broader mix of low-carbon sources like nuclear and natural gas with carbon capture technology - we could be headed down a dangerously unaffordable path. Today’s battery storage technology works best in a limited role, as a substitute for “peaking” power plants. These are smaller facilities, frequently fueled by natural gas today, that can afford to operate infrequently, firing up quickly when prices and demand are high. Lithium-ion batteries could compete economically with these natural-gas peakers within the next few years. The gas peaker business is pretty close to ending, and lithium-ion is a great replacement. The co-location of solar and wind provides more continuous energy generation than having either technology working alone. Co-locating wind and solar plants can save money on grid connections, site development, and approvals. Wind energy offers the cheapest option for new energy construction currently available in the U.S., while solar energy can be more expensive to develop and install. Combining solar and wind can help cut battery costs as well, since the wind can (and often does) blow when the sun doesn’t shine. If you’re in a location where the wind does blow, and especially where the wind complements solar, until the batteries get cheaper than the wind power itself, you’re going to be better off adding wind [than batteries]. Perhaps one day, grid storage batteries will be so cheap that their cost will be no concern. Until that day, combining wind and solar resources may often create the most amount of electricity for the least amount of money. Microgrids are seen as a fundamental building block of the emerging power system architecture. They are fast evolving from essentially a standby power system in case of an outage for an individual consumer to an integral component of today’s power system. This is being enabled by the falling costs of solar and storage and their growth as distributed generation along with advances in control automation technology, which are opening the way for local aggregation and management in a decentralised system. The smart grid will be a network of integrated smart microgrids: geographically compact units (small-scale, localized electricity systems, they can be independent of the grid or connected to the grid) capable of running autonomously from the main grid. Each micro-grid will be capable of load side management, peak-shaving, power conservation and integration of local renewable energy generation (market-based power system generation scheduling process). A microgrid is a local power grid that can operate on its own or connect to existing grid infrastructure. Advances in microgrid technology have allowed more facilities to generate their own power, which is either islanded or connected to the larger grid. The ability to operate outside of the traditional grid infrastructure means that if there is a disruption in power, consumers who rely on the microgrid aren’t affected. This is particularly important for places like hospitals, emergency services, and water facilities. Industrial complexes, military bases, college campuses, and other facilities are taking advantage of the value of generating their own electricity, along with the resilience it offers. The complexity and configurations of microgrids will vary from one setting to another, depending on the energy requirements of the connected loads, but the constitutive components are similar. These include both dispatchable and non dispatchable generation, storage and critical and controllable loads. At the heart is the microgrid controller, which combines hardware and software to manage the microgrid and its interaction with the utility grid in grid-connected or islanded modes. That and the associated energy management system with controls for power exchanges, generation, load, storage and demand response load management, is a high priority technology. A virtual power plant works remotely to combine a number of independent energy resources from disparate locations into a network that provides reliable power, as well as trading or selling power on the electricity market 24 hours a day. The concept of virtual power plants turns on its head the more traditional idea of relying on centralized power plants for predictable power. Generally, the US has depended on controllable power from big, centralized plants, often coal or natural gas plants. Power flow has been in one direction; from the utility to the business or consumer. But in recent years, small and large independent power producers have entered the scene, generating solar, wind, and other renewable resources from all corners of the US. Suddenly, power flow has become bi-directional. This clean power has disrupted the energy grid and created a need for new models. Virtual power plants rely on software and the smart grid, working remotely and automatically to combine a diversity of independent resources into a network. Virtual power plants use sophisticated planning, scheduling, and bidding of distributed energy resources. They can stitch together different energy resources from different locations and aggregate them to provide reliable power 24 hours a day. A virtual power plant can only be created if there is a market to sell its power and services to. It’s highly dependent on regulations. A micro-grid, on the other hand, can be created anywhere, and isn’t as dependent on market structures. And it can island from the main grid, while virtual power plants can’t. However, once a micro-grid starts to sell its services—such as demand response—it becomes a virtual power plant. A (futuristic design concept) network of thousands (or millions) of decentralized mini power plants (micro-grids and virtual power plants) -- comprised of diesel generation systems, solar PV generations units, wind turbine systems, fuel cell based power generation systems etc. -- will be able to quickly pool resources to produce mass quantities of energy to compensate for fluctuations in other supplies, like wind power if the wind dies down. The multiple dispersed generation sources and ability to isolate the micro grid from a larger network would provide highly reliable electric power. Microgrid will operate as a backup option during storms, cyber attacks and other catastrophic disruptions. All the power generation units are interfaced using different power electronic converters at different stages to efficiently distribute the total generated power in the overall grid. If there is some localized fault in one of the parts of the micro-grid, that part of distribution or transmission line can be isolated and still the power supply to the rest of the micro-grid can be maintained. The sources of a virtual power plant are often a cluster of distributed generation systems, and are often orchestrated by a central authority. Recent advancements in energy storage technology could finally make renewables, such as wind and solar, truly viable economic alternatives to fossil fuels when it comes to generating power. The ability to store power bridges the reliability gaps that occur with renewables, when, on any given day, the sun just doesn't shine bright enough or the wind doesn't blow hard enough to feed the hungry power grid. Batteries, really energy storage - the next disruptive technology in the power sector, are fundamentally necessary. It provides a cheap way to store wind or solar energy generated when the sun is shining and wind is blowing so it can be fed back into the electric grid and be redistributed when demand is high. Energy storage can be deployed both on the grid and at an individual consumer’s home or business. A complex technology, its economics are shaped by customer type, location, grid needs, regulations, customer load shape, rate structure, and nature of the application. Low-cost energy storage could transform the power landscape. The implications are profound. At today’s lower prices, energy storage is starting to play a broader role in energy markets, moving from niche uses such as grid balancing to broader ones such as replacing conventional power generators for reliability, providing power-quality services, and supporting renewables integration. The smart grid without energy storage is like a computer without a hard drive: severely limited. Energy stored throughout the grid can provide power to address peak power needs, decreasing the use of expensive plants that utilities power up as a last resort when demand spikes, making the network less volatile. In the way that computers and the infrastructure of the Internet have built up around storage as a key component, so will the power grid eventually rely on big data and on-grid energy storage technology (wide-area energy storage and management system) as a pivotal piece. Energy storage devices (e.g., lithium-ion battery) will be deployed in electric vehicles (EVs) in the future. It will enable electric vehicles to download energy from a plug when plenty is available. And if an electric vehicle isn't in operation and there is a shortage of energy, the electric vehicles will also be capable of feeding electricity back into the smart grid. Providing reliable electricity is a complicated and expensive process. Any imbalance between supply and demand will damage a power system’s stability. For utilities to handle extra loads or deal with outages, they build more facilities, but that increases their costs and raises rates for customers. Using Energy Storage Systems (ESSs) could solve the problem, leading to better operational efficiency and improved quality of power through frequency regulation. Power companies could produce electricity when it’s cheapest and most efficient while providing an uninterruptible source of electricity for mission-critical infrastructure and services. Battery Energy Storage Systems (BESSs) are a sub-set of Energy Storage Systems (ESSs). ESS is a general term for the ability of a system to store energy using thermal, electro-mechanical or electro-chemical solutions. A BESS utilizes an electro-chemical solution. There are currently a few types of storage systems such as mechanical storage systems, electrochemical, and thermal energy. Most of them are not that efficient, however, and it costs a lot to build them. Simply put, they don't fulfill the requirements of today’s sophisticated power systems. The electricity grid—with its increasing demand and widespread adoption of renewable energy sources such as wind and solar—needs new types of electrical energy storage that can help create a continuous, reliable stream of power and reduce generation costs. That could be achieved through long-term systems such as large-scale utility-size battery storage technologies. At present, most utilities favour battery energy storage systems (BESSs) as these are easily scalable and can be located almost anywhere. A BESS is a system that stores energy via the use of a battery technology for it to be used at a later time. Energy storage will be the key to deploying high penetrations of renewable energy around the globe. BESSs use electro-chemical solutions. Following five battery technologies can provide distinctive and important functions to grid operators. In addition, each technology has potential for significant further technological and economic improvement in the short to medium-term. Lithium-ion: these offer good energy storage for their size and can be charged/ discharged many times in their lifetime. They are used in a wide variety of consumer electronics such as smartphones, tablets, laptops, electronic cigarettes and digital cameras. They are also used in electric cars and some aircraft. Lead-acid: these are traditional rechargeable batteries and are inexpensive compared to newer types of batteries. Uses include protection and control systems, back-up power supplies, and grid energy storage. Sodium Sulphur & Zinc bromine: use include storing energy from renewable sources such as solar or wind. Flow: flow batteries are quite large and are generally used to store energy from renewable sources. All types of BESS offer pros and cons in terms of capacity, discharge duration, energy density, safety, environmental risk, and overall cost. However, BESS’s utilizing Li-ion batteries are by far the most widely used system today. This is primarily due to their high energy density and steady decrease in cost. While the use of batteries is nothing new, what is new is the size, complexity, energy density of the systems and the Li-ion battery chemistry involved - which can lead to significant fire risks. The rapid rise of BESSs that utilize Lithium-ion (Li-ion) battery technology brings with it massive potential - but also a significant range of risks. Organizations that use this technology must balance the opportunities with the potential downsides. Advanced metering infrastructure (AMI) is an integrated system of smart meters, communications networks, and data management systems that enables two-way communication between utilities and customers. The system provides a number of important functions that were not previously possible or had to be performed manually, such as the ability to automatically and remotely measure electricity use, connect and disconnect service, detect tampering, identify and isolate outages, and monitor voltage. Combined with customer technologies, such as in-home displays and programmable communicating thermostats, AMI also enables utilities to offer new time-based rate programs and incentives that encourage customers to reduce peak demand and manage energy consumption and costs. Smart meter is one of the most important devices used in the smart grid. The smart meter is an advanced energy meter that obtains information from the end users' load devices and measures the energy consumption of the consumers and then provides added information to the utility company and/or system operator. Smart meters enable two-way communication between the meter and the central system. Smart meters will pave the way for real-time pricing, where energy is priced at different rates depending on the time of day and how much demand there is for the electricity. Utilities can use real-time pricing to better manage the loads on the grid, while home owners can use it to cut their monthly energy bills. For example, intelligent appliances are saving energy in our homes: washers, dryers and refrigerators that communicate with each other wash, dry or cool when electricity is cheapest. The dream of a smart grid, where every household appliance is networked (i.e., home area network) and able to communicate with the power grid, and consumers can do things like adjusting their thermostats using a mobile phone, rests on universal Internet connectivity. Decentralized energy-producing units and household appliances would be organized by a central energy management system in each home (Intelligent Green Building). The technologies utilities are using to make the smart grid dream of the future a reality today are based on a control networking infrastructure that is made up of smart meters, data concentrators and system software all working together to meet the needs of the smart metering and advanced meter infrastructure (AMI) markets. These technologies allow utilities to treat automated meter reading (AMR) and AMI as core, meter-centric, applications for the grid and not as the smart grid itself. This means that utilities are able to think of the grid as a collection of intelligent distributed control applications and devices, riding on a single infrastructure that delivers maximum reliability, survivability and responsiveness. Electricity is becoming more and more important for the development of a secure and sustainable energy system. Global electricity demand will reach around 38,700 terawatt-hours by 2050 from 25,000 terawatt-hours in 2017, driving new investment in power generating capacity, according to Bloomberg's New Energy Outlook 2018. In the emerging countries of Africa, Middle East and Southeast Asia, increasing population, GDP growth and enhanced access to electricity lead to a doubling of demand. However, in the developed countries, demand growth is expected to be anemic, or even begin to contract, reflecting a combination of improved energy efficiency, modest rates of economic expansion, and an ongoing retreat from energy-intensive industries. As more electric cars plug In, utilities and car makers juggle ways to power them. Now those utilities must not only supply the huge amounts of electricity that modern car factories consume, but also fuel the increasing number of electric vehicles coming out of them. If that electricity isn’t generated with minimal carbon emissions and at a reasonable cost, the advantages of electric cars are diminished. Digital network intelligence is added to the power grid of the future, making electricity more like the Internet. In order to keep the network -- comprised of thousands (or millions) of mini power plants stable -- from collapsing, millions of end-appliances and home management systems will constantly be able to share data or commands. The power grid itself will also be equipped with advanced information technology (i.e., wireless sensor networking technology, AI/machine learning, software, computing) that will be able to measure demand and production in real time. The deployment of all modern energy technologies will rise or fall based on the construction of a communications network that can deal with mass amounts of real-time data and transport them using Internet Protocols. The smart grid is the backbone of the new infrastructure. The smart grid could promote innovation in energy, just as the Internet did in computing. The Information Age is arriving at a new level: It's becoming the New Electricity Age. Reliability of energy infrastructure is critically important for modern societies. But threats to global energy systems are growing. Digitalization increases vulnerability to hackers. As the national power grid becomes increasingly dependent on computers and data sharing - providing significant benefits for utilities, customers, and communities - it has also become more vulnerable to both physical and cyber threats. As distribution grid modernization advances and distributed energy resources proliferate, so will cyber security vulnerabilities. The distribution grid is becoming more digital and dynamic, as smart grid devices enable two-way communications, and customers are increasingly using on-site generation, software-based energy management tools, and a plethora of Internet-of-Things (IoT) appliances. This innovation is positive, yet exposes the grid to additional vulnerabilities. As electric power plants and other critical infrastructure facilities' increasingly rely on Internet-connected technologies and wireless communications, hackers appear to be uncovering new avenues to penetrate their networks. The grid is extremely vulnerable to cyber and physical attacks. It is a growing threat to small and large power operators alike. Most outages on the power grid are related to transmission and distribution system issues (not generation outages). By number of events, most outages occur on the distribution system, with local and limited impacts. Less frequent occurrences of transmission level outages impact a greater number of people. However, attacks on the distribution system could increasingly reach beyond local impacts. Simultaneous attacks on several distribution utilities or coordinated attacks on a single utility in multiple locations could create widespread outages. These outages could cut power to other critical infrastructure - like water, telecommunications, pipelines, etc. - compounding damages. In addition, cyber intrusion at the distribution level raises concerns about customer data privacy, potential infiltration of industrial control systems, and other negative outcomes. We need to develop methods to help utilities detect and recover from cyberattacks. If utilities can quickly detect digital attacks, it has a better chance of preventing physical damage from occurring. However, attackers continue to evolve their tools and techniques to defeat the protection controls that are put in place. IoT across the power grid creates new openings for hackers. The industry has to evolve to meet those new threats and defend against them. While the governments and the utility industry worldwide are clearly pouring more resources into the security of critical infrastructure facilities, the industry may need to move faster to defend against cyberthreats. The goal is to develop automated defense systems that operate independently of utilities to identify an attack, isolate vulnerable equipment and quickly get the system running again. Big data is a critical element to solving key business problems for utility companies. It can turn the information from smart meter and smart grid projects into meaningful operational insights and understandings about their customer’s behavior. As smart grid and smart meters become crucial to the industry, they will likely start generating hundreds of terabytes of data every year - or unstructured text data compiled from maintenance records and Twitter feeds. The accuracy, breadth and depth of these new data points present new opportunities for the utility companies that are prepared to take advantage of them. In the next few years the use of energy storage and IoT is expected to increase significantly, along with an increased development of distributed energy resources with two-way power flow in the distribution grid, and new roles for energy service suppliers, utilities and consumers that produce energy, or prosumers. This evolution of the grid has been called the “Energy Cloud,” and the use of AI can be considered critical to the management of such a system, given the number of points of control in the grid increasing from many tens of thousands to hundreds of millions, or even billions. Compared to now, where AI is a tool being explored for optimization opportunities, in the future, it will be a requirement for effective grid participation. Modern society is dependent on a reliable, abundant supply of energy. As our populations and cities get bigger, that demand is only set to grow. Ultimately we need smart grid technology because as the population grows the demand for electricity will only increase, but we need to cut our electricity consumption to fight global warming. Currently, the world consumes about 15 trillion watts (15 terawatts) of energy. A terawatt is 1,000 gigawatts, and a gigawatt is the capacity of the largest sort of coal-fired power station. In another 50 years, we’re going to need about 30 terawatts. Where are we going to find another 15? We would have to turn on a new 1,000-megawatt power plant tomorrow, another the next day, and on and on, one a day for the next 40 years to get another 15 terawatts. Undoubtedly, new sources of power generation will be needed to meet skyrocketing world energy demand. We will need a scalable, innovative, and clean energy portfolio that meets the world’s need for reliable energy sources while considering the economic, environmental, health and climate effects of energy generation. In the mean time, the smart grid will be implemented incrementally over the next two decades as technology, pricing, policy, and regulation changes. When energy production is becoming decentralised and ICT is increasingly present in homes, the integration of renewable energy sources (RES) and promotion of energy efficiency should benefit from smarter homes, buildings and appliances, as well as (the batteries in) electric vehicles. Digital tools for building management - part of what’s known as “intelligent infrastructure” – use a series of sensors, controls, and software to operate buildings in the most efficient way. This provides better management of heating, cooling, water, lighting, and ventilation to reduce energy consumption and increase comfort. Smart homes and buildings are one crucial element because system integration and optimisation of distributed generation, storage and flexible consumption will require interoperable smart technologies installed at building level. Internet of Things (IoT) enables a seamless integration of home appliances with related home comfort and building automation services allowing to match user needs with the management of distributed energy across the grid, and to gain access to benefits from Demand Response. Novel services should lead to more comfortable, convenient and healthier living environment at lower energy costs for consumers whilst enabling an active participation of consumers in the energy system and energy markets. In this workshop we will focus on understanding of the control, production, transmission and consumption of electrical energy by developing models, devices and software for faster and more accurate analysis, and the major communication protocols currently used within the smart grid. The workshop will also address Energy Internet, smart grid and smart grid security, CCUS (Carbon Capture, Utilization and Storage), heat energy harvesting technology, and the energy systems that tap into inexhaustible, ubiquitous, and clean sources of energy generation, such as solar, wind (NOTE: the wind and solar forecast errors may significantly impact the power system generation scheduling process), biomass (i.e., plant matter such as trees, grasses, agricultural residue, algae, and other biological material), ocean (i.e., wave energy, tidal energy, ocean thermal energy conversion), and geothermal, but also including non-conventional avenues such as methane clathrate, radiant energy, cold nuclear fusion, magnet motors, etc. and their integration within the modern electrical grid and community - from ultra-high-voltage transmission systems to medium- and low-voltage distribution grids.